For many homeowners, garage doors are an important part of their lives. In fact, many potential buyers have garages on their checklist of wants and desires they are looking for while shopping the real estate market. And, for those who are putting their home for sale on the market, most homeowners realize that garages and garage doors are an essential factor in a home’s curb appeal. Of course, the exterior finishing and landscaping materials can surely make a difference, but a garage door is a huge factor due to taking up a large portion of a home’s exterior. Because garage doors play such an important role in the security of our homes, curb appeal, and home accessibility, choosing the best garage door for your home can be difficult. With the variety of styles, colors, and materials continuously growing more varied to meet customer demands, choosing a residential garage door has never been more challenging for homeowners. That is why we decided to put together this guide on how to choose the right residential garage door. If you are someone who is the market for garage doors but constantly are asking yourself, “Which garage door should I buy?”, then this guide is a great starting point! Before we dive into the core details, we thought it would be best to go over some of the reasons why making the right garage door choice is so important. As mentioned above, garage doors can increase the value of a home. In fact, garage doors are one of the most eye-catching and appealing home improvement projects for potential buyers. And, according to the National Association of Realtors, a garage door improvement project comes with an estimated project recovery value of 87 percent. Even if you aren’t planning to sell your home anytime soon, a new garage door is still a great investment for homeowners, especially if their current door is malfunctioning, outdated, or broken. Choosing the right garage door is important due to the various ways a garage door actually impacts our lives at home. Think about it, garages are the largest area of a home, meaning a garage door is likely the main focal point for people driving by, which is why choosing a door with the right design is important. Additionally, being such a large surface, a garage door has a significant effect on the insulation of homes. If insulation and heating and cooling costs are a concern, it may be best to choose an insulated garage door. Another concern is safety — due to the size and location of a garage door, many thieves and burglars will target garages. However, newer garage doors are much better at hampering intruders. And lastly, choosing a garage door that is safe is important to ensure that accidental injuries are avoided. Now that you know why choosing the right garage door is important for homeowners, it’s time to move on to how homeowners decide what the optimal garage door is for their home is. A good start in deciding is for homeowners to consider what type of statement they want their garage door to make. For example, homes that have gray or beige exteriors will look tidy and aesthetically pleasing with the addition of a white door. In contrast, homes that are white should feature a garage door in a color that helps create color contrast and dimension. Additionally, there are many different types of garage doors to choose from, some better complementing homes than others. Check out a brief overview of the three common garage door options so you can choose which door is right for your home! Aluminum garage doors look great with contemporary homes. Although aluminum is a lighter material of steel, these garage doors are dent resistant and hold up well during all four seasons. Steel garage doors are a top choice for many homeowners. And the best part, steel doors can be manufactured to look like wood! Fiberglass doors are a great alternative option for homeowners looking for durability, but not a steel garage door. Like some steel doors, fiberglass doors can be manufactured to closely resemble wooden garage doors. Available in many styles, colors and wood-like finishes. As mentioned, purchasing a garage door can be a daunting task for many people. While knowing the different types of garage door materials will help with the decision, there are still many questions that homeowners need to answer before pulling the trigger on a new door. To make sense of it all and find the garage door that best fits your home, follow these simple steps. As you saw above, there are a variety of materials, styles, and colors of residential garage doors that are available for homes. It is important to have an idea of which brand of garage door you want, the impact the garage will have on curb appeal, the style options and material choices available, which features are important, insulation benefits, and even the budget you are willing to invest into a new door. Perhaps the most important factor of garage door selection is choosing the material. As mentioned above, there are multiple garage door materials that can be used for residential applications. All doors are not the same, and each material of garage doors has its advantages and disadvantages. If you have an attached garage or a garage that is adjacent to any kind of living space, like a kitchen or bedroom, it may be a good idea to choose a garage door that is insulated. Insulated garage doors will help those rooms remain comfortable, even when you live in a climate with harsh winters or summers. Plus, insulated doors are often much quieter. A garage door selection is one that should last and remain appealing for many years. You’ll want to consider choosing a garage door that is durable, able to withstand harsh weather conditions, long-lasting, and won’t require much maintenance or repair. Once you’ve done your research and have determined, and decided on, specific factors, you are ready to find a local garage door company that specializes in garage door installation. 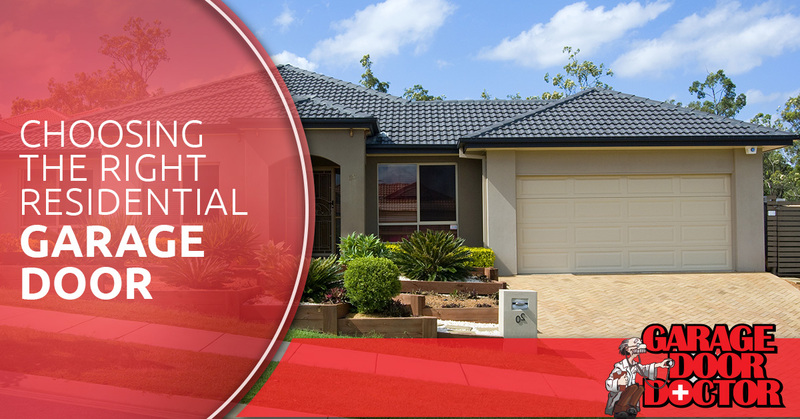 They will be able to provide you with expert advice and garage door services, leaving you with a beautiful, appealing garage door. We hope that this brief guide will make choosing a residential garage door for your home much easier. A garage door is a big investment and choosing the right one for your home is essential to its security, curb appeal, energy-efficiency, and many other factors! Looking for Marion County garage door installation? If you are thinking about buying a new garage door in Indianapolis, or in other Marion County areas, there is not a garage door company that is trusted more than Garage Door Doctor! 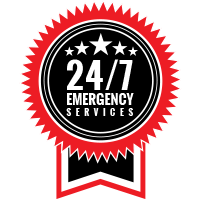 For many years, our team of experts has been providing Indianapolis with garage door repair, maintenance, and installation services. We are proud to install Haas Garage Doors, including the Haas American Tradition Series, in homes throughout Indiana. 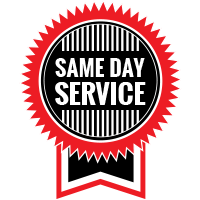 Our team of trained professionals can provide timely service for all garage doors! We are ready to help you select the perfect garage door for your home, like the Haas Model 360. And, we can even help develop your customized Haas garage door for your Indianapolis home. To learn more about our garage doors, or for help choosing the right garage door for your home, contact the team at Garage Door Doctor.